The Cartoon Network hit translates impressively well to a compact touch adventure. Licensed games are rarely worth your time, even if you’re a fan, and role-playing games are often too large in scale to really be ideal for mobile devices—although nostalgia might power you through awkward console ports. 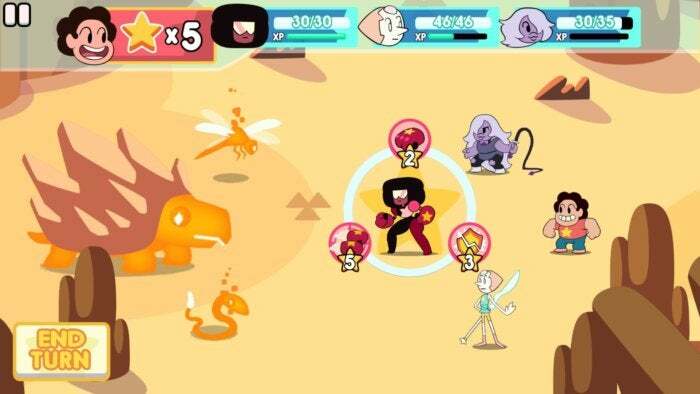 However, Steven Universe: Attack the Light manages to overcome those expectations, delivering a licensed iOS role-player that really is quite good. 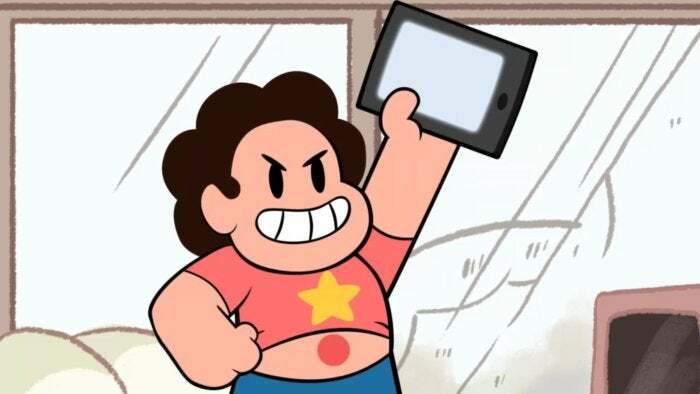 Don’t know Steven Universe? Cartoon Network’s show debuted in 2013 and has racked up more than 120 (11-minute) episodes to date, amassing loads of adult fans in addition to the network’s younger target audience. 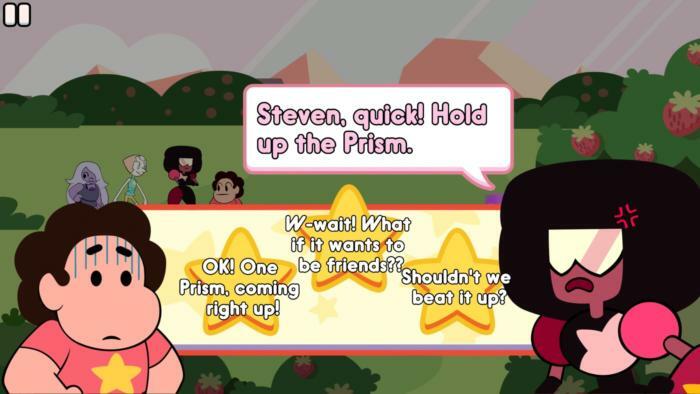 Steven is a half-human, half-alien (Crystal Gem) boy coming to grips with his newly-emerging special abilities, with scenarios both humorous and heartfelt. Think of it like a more focused contemporary to Adventure Time: it’s hilarious, but it also has an ongoing plot with complex characters and surprisingly emotional moments. Oh, and intense, anime-inspired action sequences. It has a different art style, but Attack the Light’s animated intro feels like it could’ve come right from the show. Attack the Light is certainly meant for fans, as it’s chock full of references and doesn’t have a lot of narrative setup, but it also works well as a streamlined, on-the-go role-playing adventure for nearly anyone. And it does a great job of capturing the show’s essence, whether it’s with dialogue exchanges or in the midst of combat. Ready to Attack? Here are three reasons why you should. It’s perfect for iOS: Many top console role-playing classics have been brought to iOS, and some are better suited to touchscreens than others. But while I appreciated my return visit to Final Fantasy VII, it’s hardly the most intuitive touch game. That’s not the case with Attack the Light, which was created from the ground up for iPhone and iPad and works very well on both—and on Apple TV with the Siri Remote, as well. No need for big, bulky menus: your combat choices are shown in a circle around the selected character. Navigation is dead simple, as you’ll swipe to go from screen to screen, and there’s little aimless wandering to throw you off-track. Meanwhile, the combat is easy to understand but still strategic, as you utilize each Gem’s special abilities while fighting creatures in turn-based battles. It’s light on menus and never feels overly complex; essentially, Attack the Light is pared down to a core of combat and loot-hunting, and that works well on iOS. It’s concise and compact: Just as Attack the Light stays streamlined in combat and movement, it does so with scale as well. Each level—accessed from a menu screen—lasts anywhere from five to 15 minutes, so it’s easy to pop in and make some progress without committing an hour of your time. Even the drawn-out battles along the way only tend to last a few minutes apiece. 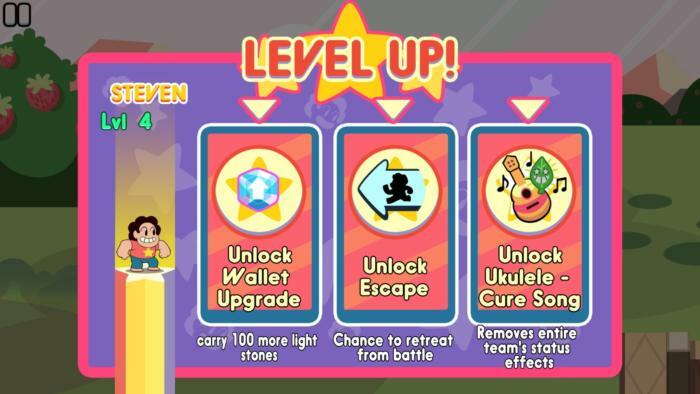 Each time your character boosts up a level, you can choose a new ability or enhance a skill. Likewise, there are optional areas and secrets to unearth, as well as bonus challenge levels, but the scope of the game is approachable: you can zip through the core of the campaign in several hours, rather than dozens. Even so, Attack the Light offers plenty of progression in that span, with character upgrades bringing new attacks and enhanced stats, as well as the promise of a fused form between three Gems later on. It’s Steven Universe: I devoured the first 70 or so episodes across a couple of months after first discovering Steven Universe, and now I’m catching up on the rest—so it’s true, I’m a fan. I don’t expect that the game will be nearly as appealing to anyone who hasn’t seen the show, but I appreciate how much it captures the characters and the tone of the series. Every so often, you’ll have to make a decision—the result can net you some extra experience points. The dialogue between Steven and the Gems is spot-on, the attacks are inspired by real action from the show, and many of the items recall memorable moments from the series: like Together Breakfast, which heals everyone when used. Little references like that go a long way towards making Attack the Light feel authentic and creatively cared about—a sad rarity with games inspired by TV shows or movies—and makes pushing ahead in the quest seem all the more appealing. 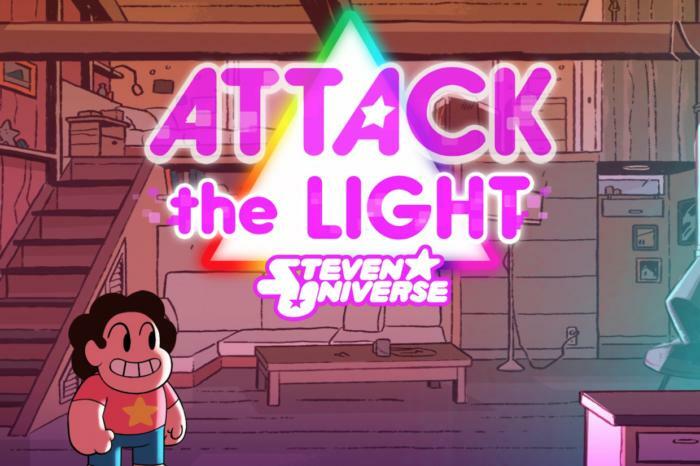 In other words, if you like Steven Universe, you should obviously play Attack the Light: it’s not only a great adaptation of the series, but also a pretty stellar on-the-go role-player as well. And if you’re not a fan… well, you really ought to give the show a chance. It’s wonderful.